David Le/Gloucester Daily Times. 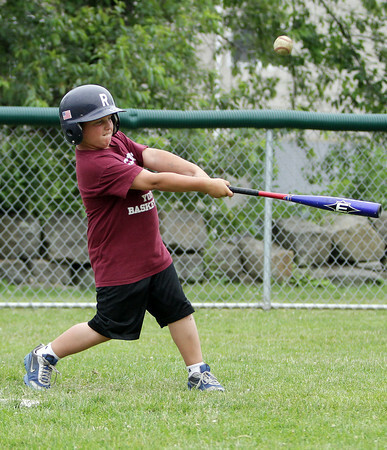 Michael Wonson, 8, of Rockport, pops a ball up during a scrimmage at the Viking Baseball Camp on Tuesday afternoon. 6/28/11.